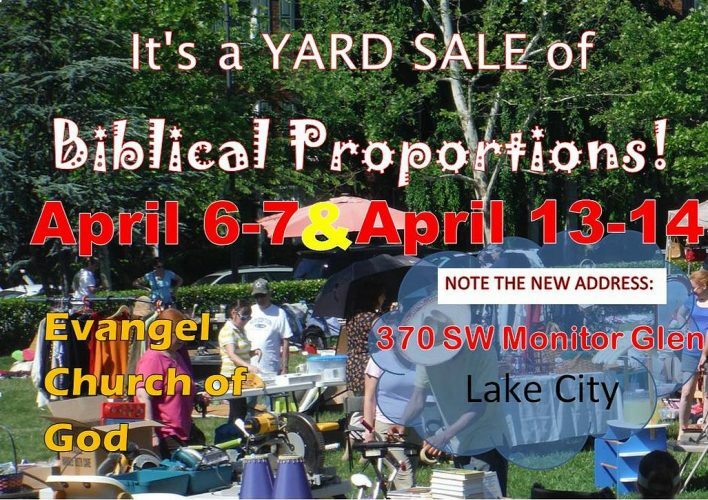 The much anticipated Evangel Church of God HUGE yard sale is Friday and Saturday April 6-7 AND April 13-14 at the church, 370 SW Monitor Glen. We have TONS of amazing stuff you’ve always wanted and totally need. Come buy our stuff – you know you want to!